On a trailer? 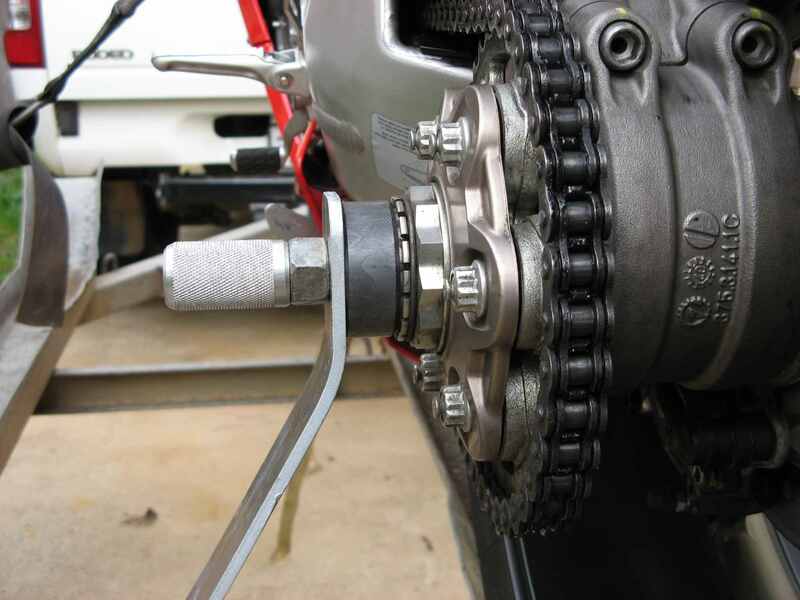 What tie-down points on the bike do you use? Photos appreciated! Cheap way is a 'Canyon Dancer' handlebar strap with a few tie downs. Better way is a 'Cycle Cinch' which is almost the same as above, but all in one piece. johnny has good suggestions, and I will add one. 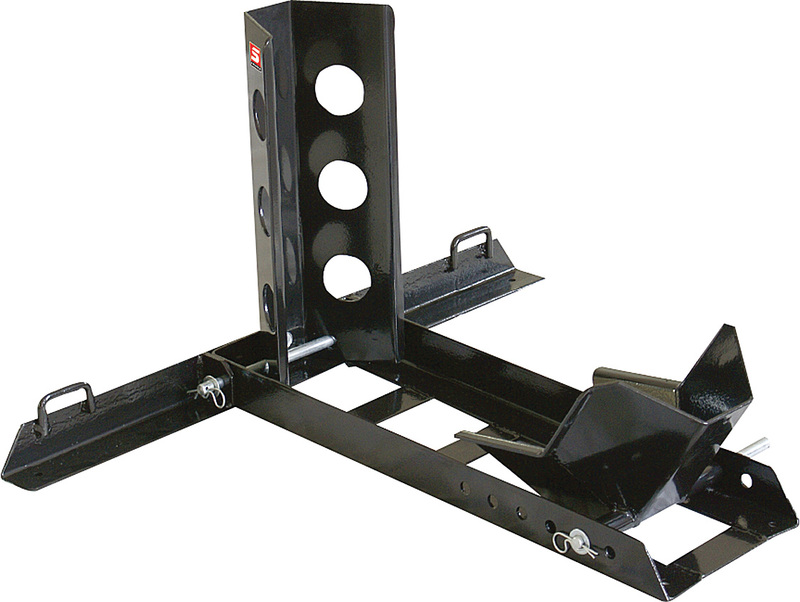 a front wheel chock. I have two of these and they work well. not only do they help keep the bike stable when hauling, they are even good for holding the bike upright while I tie it down, like a helping hand. For my track bike with upgraded suspension that is rather not compress, is use a front wheel chock (Baxley makes really nice ones) then I use an Ace Bikes tyre fix on the rear. 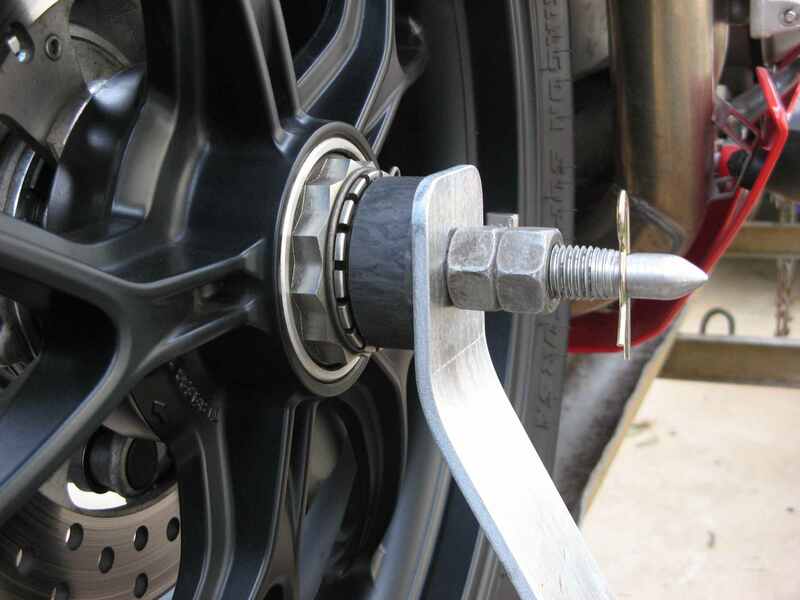 This secures the bike nicely and is useable on any bike without the need for customized pins like the Pit Bull TRS. I made my own tie down system, turned up 2 flanged nylon plugs to fit in the rear axle. Bolts through the 2 arms which swing on little trunnions. It is very rigid. and leaves suspension free to move. Hopefully this idea will be useful to somebody. finepooch, [email protected] and Bosco like this. 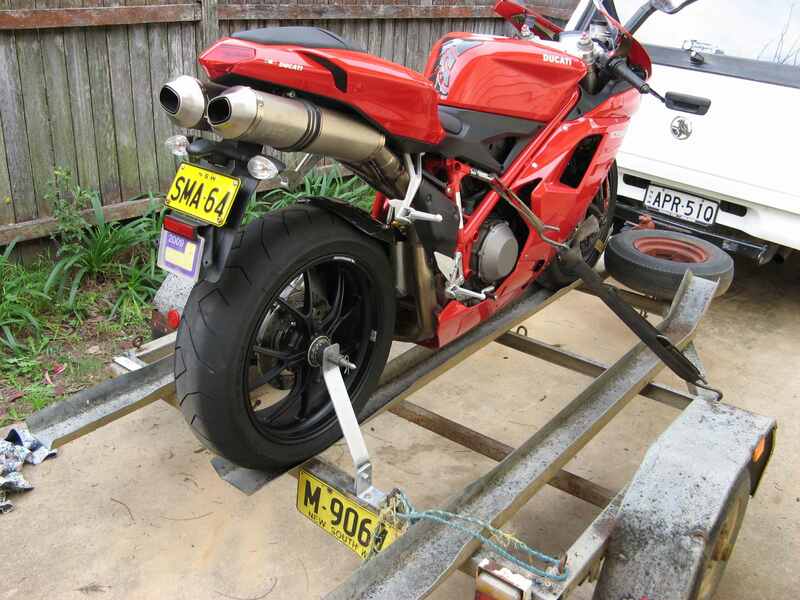 Recently purchased Acebikes Tyrefix and used it to secure bike into box trailer. Front wheel in chock. Additional straps around rear subframe. Due to flex in trailer floor, I presume, I found Tyrefix “unfixed” when I pulled over half way home. Will be reinforcing trailer floor before next use. Something to be aware of when using Tyrefix. I have nothing but praise for the product, btw.